Binomio is a bit of an open-secret. 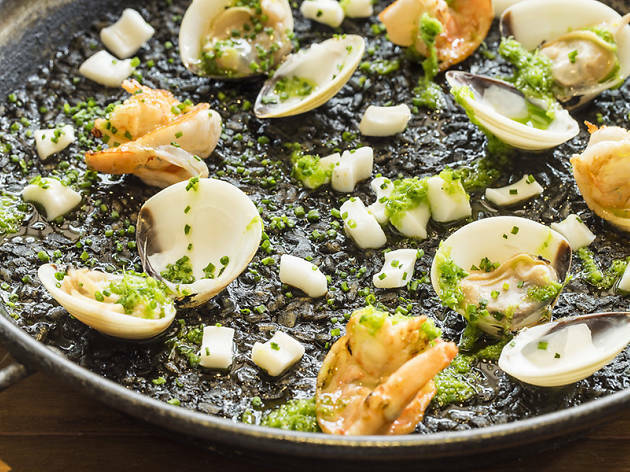 It's greatly beloved by the foodie community, yet it tends to fly under the radar unlike its younger, trendier counterparts. 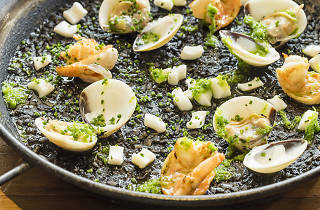 The tapas counter fronts the place to dish up classic bites, whereas the cavernous inner sanctum is a fancy fine-diner for Spanish gastronomy. TRY Tuetano con tartar ($28). What's better than grilled bone marrow? Grilled bone marrow topped with tartare chopped from aged-beef, that's what. Probably not great for your cholesterol, but you only live once.